What will you do if the vacation of your dreams doesn't go as planned? What will you do if the vacation of your dreams doesn't go as planned? When left alone in a foreign country, your friend gets into trouble and you're the only one she can rely on: Will you have enough strength and courage to help her? Are you brave enough to face off with a 200-year mystery of the manor Ardennes and do battle with all of the threats contained within? We invite you on a fascinating journey to find out how strong the friendship ties are - and much, much more! - About 40 beautiful art and gorgeous locations. 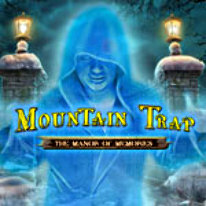 - Fantastic puzzles and hidden objects.